Professional, friendly service at your Hobart home or office. Looking for Hobart computer repairs? Call a computer specialist at Geeks2U today! Our Hobart computer repairs services offer best in class, on-site computer repairs as well as IT support throughout Hobart. Before your technical problems get out of hand, open your door to Geeks2U in Hobart. The computer technicians can solve even the toughest technical issues for any laptop, computer or tablet. We know there is nothing worse than feeling disconnected. That’s why we provide same day computer repair service on weekends, weekdays, and evenings. The Hobart computer repair technicians can come to your home or office to fix your computer or laptop on the spot. Whether you have a PC, a Mac, or even an iPhone, the Hobart computer specialists can fix your laptop or device problems. Every technician has a deep level of experience working with an array of different brands including Samsung, Apple, Acer, Asus, Dell, and Toshiba. In addition to computer repairs, Geeks2U provides new device setup, internet connectivity, or email setup. Remember, if it hums or beeps, we can fix it! Days, evenings, even weekends, Geeks2U is at your service in Hobart. Furthermore, the Hobart technicians are all local, so they can deliver skilled technical support at your convenience. Since 2005, Geeks2U has maintained spectacular growth to become the largest provider of mobile PC repairs in Hobart. 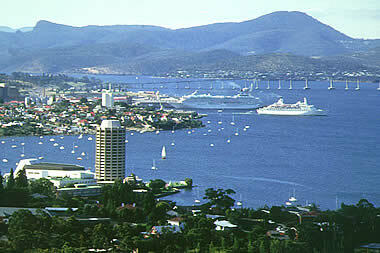 Hobart residents know where to go for all their mobile IT support needs. Industry leading computer service technicians are waiting for your call. Call 1300 769 448 to schedule an appointment with a Hobart computer specialist today. What do our customers have to say about Geeks2U? Geeks to you are reliable and trustworthy. The girls on the phone were really lovely and a pleasure to make my appointment. Service was fantastic, William was great. Would definately recommend to anyone. Geeks2U – An efficient, fantastic, great, wonderful service. We wish we’d found you sooner! We’ll certainly use you again.